New trailer for the upcoming comic book adaptation. The Disney/Fox merger means that a host of new superheroes are now available to join the official Marvel Cinematic Universe. One hero still unavailable to Disney however is Venom, currently owned by Sony as part of their Spider-Man package. 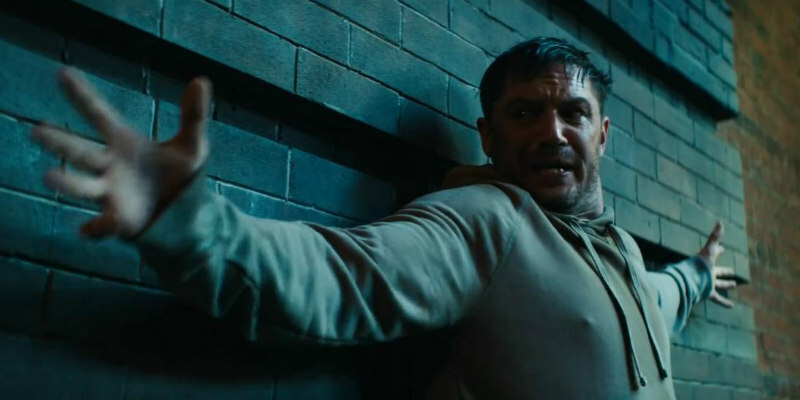 Previously seen as a villain in Sam Raimi's Spider-Man 3, this October Venom gets his own movie with Tom Hardy in the role of Eddie Brock, a journalist who becomes infected with an alien symbiote, transforming him into the titular super-powered being. Directed by Ruben Fleischer, Venom also stars Michelle Williams, Woody Harrelson, Jenny Slate and Riz Ahmed.